Welcome to the first in an brand new series here on the Madison Logic Blog. 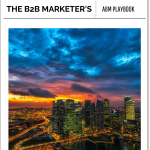 We’ll corner a leading B2B marketer to see how they feel about account based marketing. Nothing’s better than learning from an expert in the field, right? Today’s guest is Joe Chernov of InsightSquared. Let’s get into it. 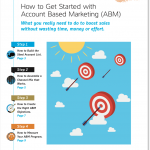 Is ABM and content an either/or proposition? For most companies, it’s less an either/or choice than it is a reconciliation of the two models. At the margins, sure, it may make sense to go all-in on one methodology. For example, if your addressable market totals hundreds of companies — imagine you sell software to professional sports franchises — then an account-based marketing is probably the right approach. Conversely, if you sell to very small businesses, regardless of industry or location, then inbound or content marketing is going to be much more efficient and cost effective. But for those of us in the middle, companies that sell to thousands or tens of thousands of companies, a hybrid approach that builds an audience through inbound while accelerating pipeline and deals through ABM is the way to go. How do you organize your team in an ABM model? This is a tough one. I haven’t found the breakthrough ABM org structure. The closest I’ve come is to create a new position, essentially an ABM “quarterback” — I suspect the team at Engagio will like this role because they use the football metaphor in their marketing and communications — who is the connective tissue between sales and marketing. This role organizes ABM campaigns, solicits buy-in from sales, ensures sales follow-up happens, and manages reporting and optimization. The other discovery is that the content person team should have a dotted line to sales enablement. In an ABM system, even top of funnel content, like the blog, needs to align to sales themes and messaging. Those two roles need to sit side-by-side. What’s holding companies back from ABM? There are two major barriers. The first is straightforward: data quality. Unreliable data has always dogged marketing, but it becomes even more acute in an ABM model. After all, when you’re shipping expensive mailers you’d better be certain you have the right address or else you’re going to waste a lot of money. The second is more political. Marketers have only recently adopted a foundational metric — the MQL or Marketing Qualified Lead — and we’ve only recently persuaded leadership to hold us accountable for MQL volume and, perhaps, downstream conversions. Then the ABM movement comes along and says, “You’re looking at it all wrong. Do away with the concept of a ‘lead.’” That’s a bridge too far, or at least a bridge too soon, for some organizations. What have you learned that you wish you knew when you started? Sales buy-in matters more than any single aspect of an ABM initiative. Without the full support of the sales team, even the best ABM campaign will flounder. Joe Chernov is the vice president of marketing for InsightSquared, a sales performance analytics company. He was previously a marketing executive with HubSpot, Kinvey and Eloqua. He’s been a marketing leader during two successful IPOs. The Content Marketing Institute awarded him DzContent Marketer of the Yeardzand AdWeek named him one of the 100 most creative people in advertising. Joe serves on the board of advisors for several tech startups and is part of Flybridge Capital’s advisor network.